Make a delicious Sicilian Pistachio Olive Oil Cake Recipe using the best pistachios in the world! Giannetti Artisans sources excellent Sicilian Pistachio Flour from Bronte. It’s fair to say that Bronte pistachios are quite expensive, but spending a few dollars is well worth the taste for all your baking needs! Try a great recipe using Giannetti Artisans Sicilian Pistachio Flour and excellent certified IGP Extra Virgin Olive Oil from Tuscany and Artisan made Acacia Honey from Tuscany! Preheat oven to 350˚. Grease and 8-inch round pan with oil. 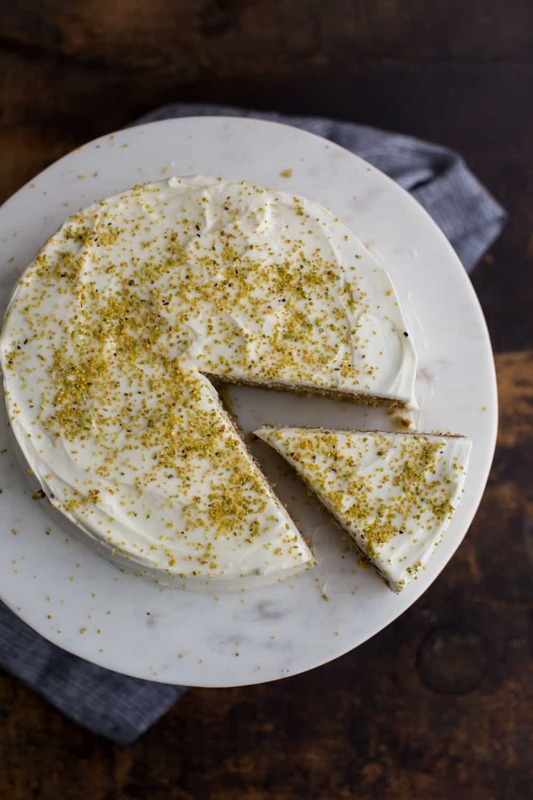 To make the cake: In a medium bowl, stir together the flour, pistachio flour, lemon zest, baking soda, and salt. In a separate bowl, whisk together the olive oil, honey, milk, and eggs. Pour the wet ingredients into the dry ingredients and stir until combined. Scoop the batter into the prepared pan and smooth out evenly. Bake for 20 to 22 minutes, until the cake is golden and has domed. Let cool for 10 minutes. Once the cake has cooled, run a knife along the edges to loosen. Flip the cake over onto a cake plate and finish cooling. To make the frosting: Beat together the cream cheese and butter with a hand or stand mixer. add the confectioners’ sugar, 1 tablespoon honey, and 2 tablespoons heavy cream. Continue to beat until the frosting is smooth. Taste and add more honey if desired. If the frosting is too thick, beat in another tablespoon of heavy cream. Frost the cake and sprinkle with pistachio meal if desired. Next Post How is Balsamic Vinegar Beneficial for Your Health? Just wrote you an email Clay!